Industrial processes that exist today require a high degree of automation of the installations to achieve increased productivity, improved product quality, optimize the maintenance and control real-time processing. Depth knowledge of PLCs and their associated technologies (hydraulics, pneumatics, electronics, electricity, robotics, etc..) Is essential for the development of an automated installation. In ADESVA TECNOLOGÍA S.L. 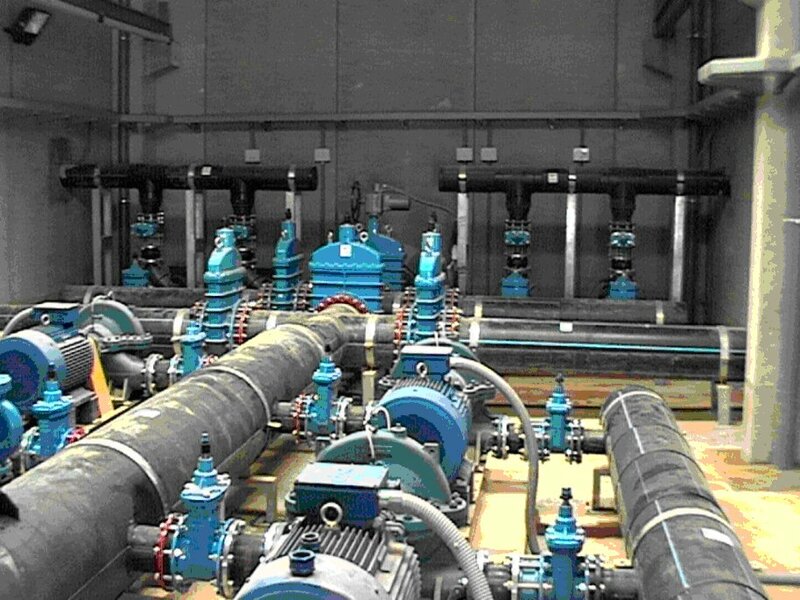 we design and electrical installation of automated facilities and the implementation of programs of control and supervision needed and tuning for optimal performance of the installations. We use electrical and electronic equipment and software from leading manufacturers of industrial equipment, always adapting to the needs of customers. For the control and automation of industrial processes installed PLCs from different manufacturers as the main control computer: Schneider Electric, Siemens, Rockwell, Beckhoff, Omron, General Electric and Mitsubishi. 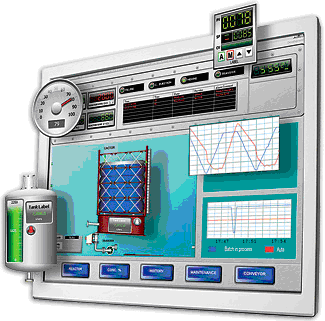 For visualization, control and management installations developed real-time computer applications. Developed the application software through SCADA platforms on the market or integrated by our programmers. SCADA different platforms we use are: IAS, InTouch, WinCC, Vijeo Citect, Vijeo Designer,CX-Supervisor, iFix and Cimplicity. We perform custom reports of installations and specific routines that make easier predictive and corrective maintenance of installations and production management. 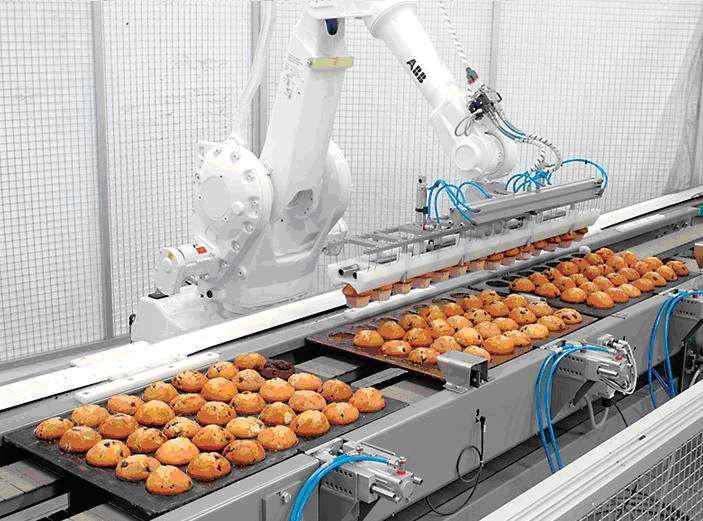 Within the manufacturing lines is becoming more common to use robots for handling and processing of products. In ADESVA TECNOLOGÍA S.L. performed the programming of existing robots on the lines, integrating with other existing control systems. In ADESVA TECNOLOGÍA S.L. work with major manufacturers of robots: ABB, Kuka, Fanuc and Motoman. Regardless of the control installations in buildings and industry in which the control is fully extended, the majority of existing installations increasingly require the need to install control systems that help management and maintenance, thus obtaining better performance. In ADESVA TECNOLOGÍA S.L. we have a highly qualified and specialized team to develop and implement the best control solution to any installation. We are able to offer our customers a comprehensive solution for control, using technologies that best suit the installation to be controlled. 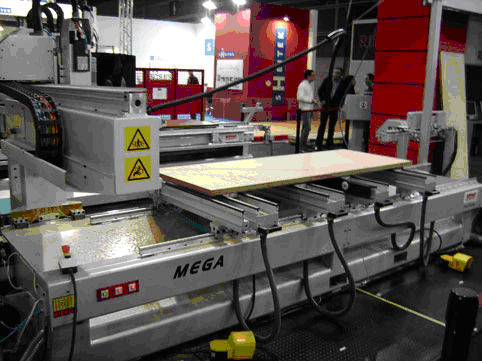 The modern building poses a growing demands to the installations inside a building. In the tertiary sector today is practically necessary to implement a system capable of integrating all functions of the building: lighting, HVAC, energy management, engine blinds and curtains, presence and access control, systems management alarm monitoring and control from a central, etc. These functions must be well managed to achieve the highest levels of comfort, energy savings and security in the building. In ADESVA TECNOLOGÍA S.L. we install home automation in all types of buildings: offices, hotels, shops, homes, public buildings ... To do this, depending on customer needs, install the most common home systems on the market: KNX, LonWorks, PLC's, DALI and proprietary systems from different brands. Some manufacturers that we work with are: TAC, Merten, Jung, Siemens, Schneider, ABB, Delta Dore and Honeywell. Automatic shutdown of lamps in offices with time adjust depending on work breaks or weekends. Setting the backlight depending on the light of day for optimal working conditions with constant light control. Automatic lighting hallways, stairs and areas rarely visited by motion detectors. Hot and cold supply individualized and adjusted through time adjustable thermostats in each room. Reducing the cost of heating and air conditioning through various modes of operation parameters based on use of the building. Setback temperature if the windows are open to save heating costs. Flexible adjustment of the functions of the building when the regulation of the space have been modified in case of reorganization or relocation. Access from anywhere in the world in building technology through PDA, computer, TV or touch screen. 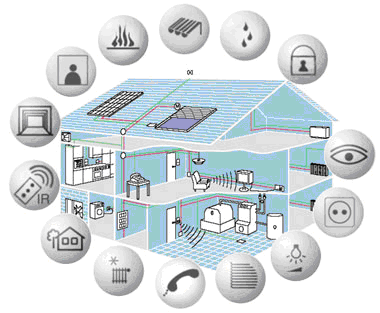 Checking the status of windows, doors or underground by sensors that detect any change. Use source control, power curves and temperature, immediate notification when exceed the permissible temperature and emergency shutdown of the corresponding appliances. Reduced peak power curves, turning on and off in a controlled energy sources. Automatic notification to the security service and the owner of the house through a phone call in case of alarm activation. Voice messages appear in the building that could do away intruders. Reusability in the alarm system of the same motion detectors used to turn on the lights. A general off switch located next to the door handles off all sources of consumption, such as lights or appliances connected to the network. Individual lighting in the place and time you want depending on the utility is giving the room at that moment: meeting rooms, offices, living rooms, dining rooms. To do this, you only need to save and activate the desired setting, action can be performed even by remote control. If you detect suspicious noise at night, an alarm switch located next to the bed is responsible for light house and garden. In case of absence or extended vacation, the motion simulator keeps out intruders. Notice the presence of windows and doors open through the status screen next to the door. 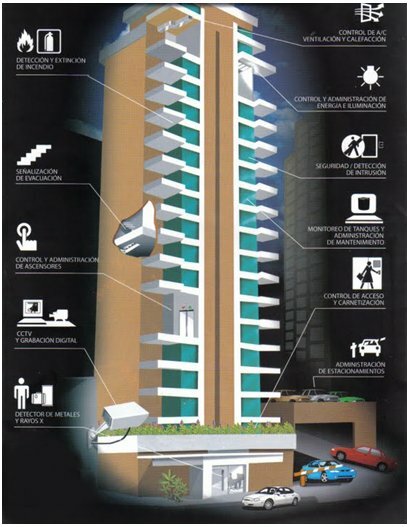 Protection against intrusion by motion sensors that are responsible for illuminating the inside and outside the home. Urgent message notification to the damaged appliances through SMS, voice module or e-mails. Central control of blinds and shutters with electric in-room work, parents and children pressing a button. Automatic protection against excessive exposure to sun or storm with awnings and blinds equipped with wind and solar sensors. Intrusion Protection with adjustable blinds and awnings of time, protecting the windows even in her absence. Automatic blinds through light sensors depending on sun exposure. Automatic transfer of the sheets through wind sensors as a function of wind strength. Automatic application of the slats of the blinds depending on the position of the sun. Intelligent building technology not only gives you greater flexibility, convenience and safety, but above all profitability. Compared to traditional solutions in the long run can save up to 30% of the usual costs. Although the planning and execution of the work installing home automation solution exceeds the cost to traditional electrical installations in the occupation phase are greatly reduced costs due to better energy management and lower costs in modifying and bring plants for reorganization of the building, housing and business premises. Monitoring installations can be done locally, through HMI's console and located on-site or remotely through remote locations or websites dedicated connection. 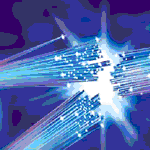 Depending on the needs and characteristics of the system we use different technologies to send data to remote servers and desktops, local area networks, fiber optics, or GPRS modem. In ADESVA TECNOLOGÍA S.L. install and configure multiservice Ethernet networks (RMS) and carry out projects of common telecommunications installations (ICT) in buildings. Also find the best solution for integrating devices that connect through different means and protocols through the use of routers and gateways or performing specific software to do it.